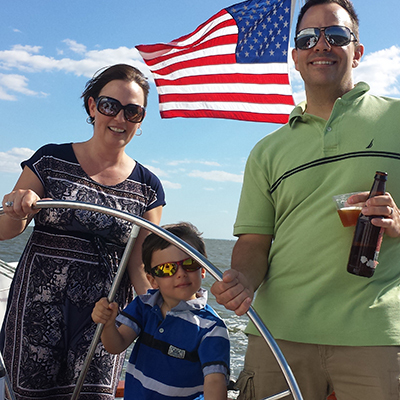 Make your Annapolis experience unforgettable. Take in the sights as they were meant to be seen—from the water! Take a turn at the wheel, hoist the sails, or sit back and relax. 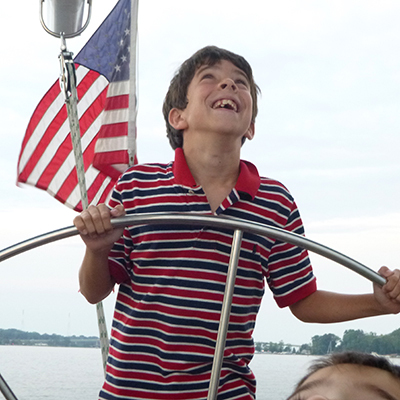 Our daily sailing tours are ideal for making memories. 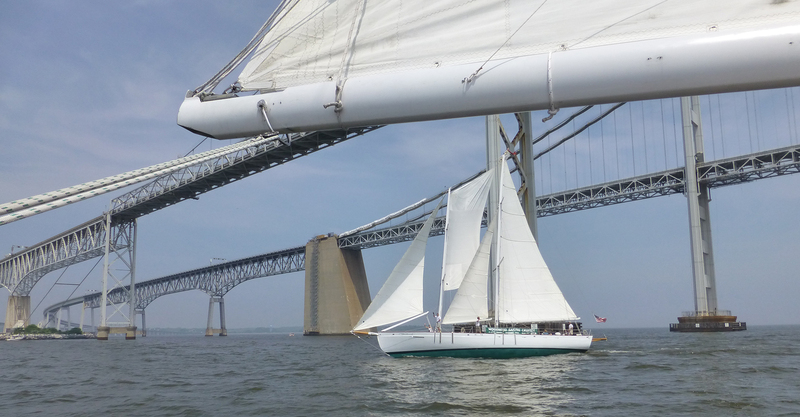 Set sail on our daily tours of the Chesapeake Bay. 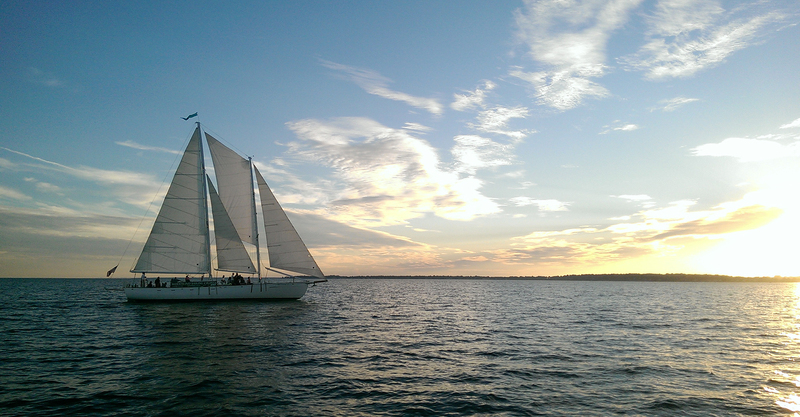 Every cruise is unique on our beautiful 74’ wooden sailboats. 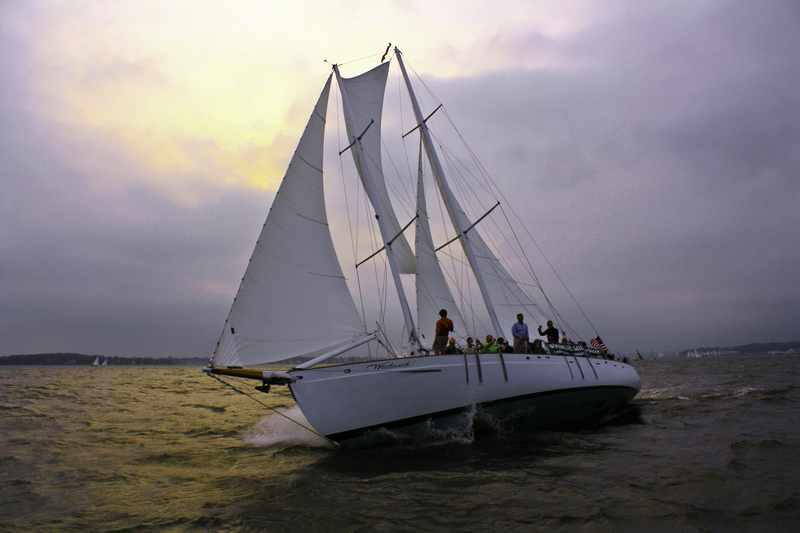 “Woodwind” sails up to four times daily throughout our summer season from the Annapolis Waterfront Hotel. Each trip is unique. 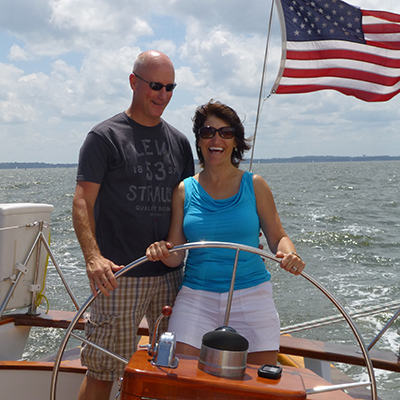 Let our captains and crew make your trip most enjoyable and memorable. Help hoist the sails (all 4 of them) or take a turn at the wheel. Have a group of 18 passengers or more? You can get your tickets further in advance and pay the gratuity up front. 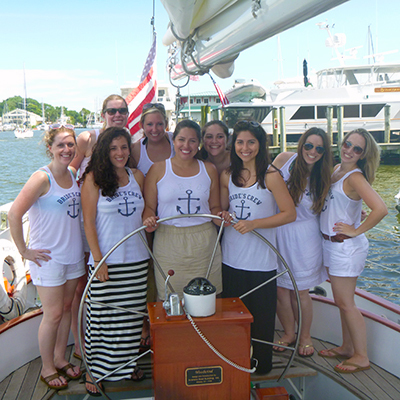 Click here to learn about our group sailing packages or click here to download our Group Sail Brochure. 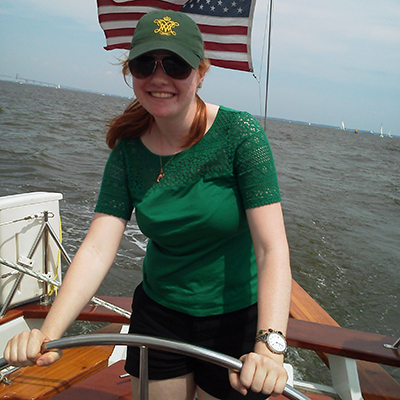 Learn about the History of Annapolis and the Chesapeake Bay. The Historic Annapolis Foundation sponsors History Mondays. They have a speaker aboard educating us on different topics of the area. Sample while you sail! Each month we feature a different brewery from the Mid-Atlantic Region, and their representative comes aboard and teaches you about beer. 3 samples of beer come with the cruise, and then order full beers from the brews that you enjoyed the most. Schedule of Breweries. Join the crew and race Woodwind vs. Woodwind II every Wednesday night from April 25 through August 29. 130 other sailboats are also racing in the Wednesday Night Regatta. Wednesday’s are the nights to Party Like A Sailor. 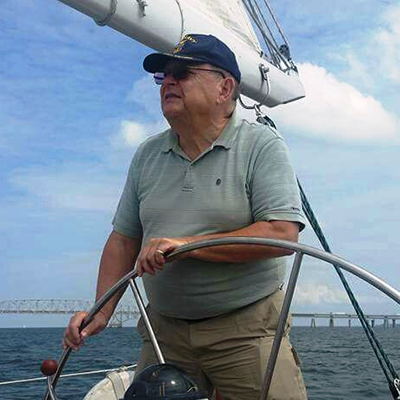 Sit back and relax as different local musicians entertain you while sailing on the Chesapeake Bay. The Singer/Songwriter genre will be well represented as they play acoustically aboard the Woodwind. There is no “specific” entertainment on these days of the week. 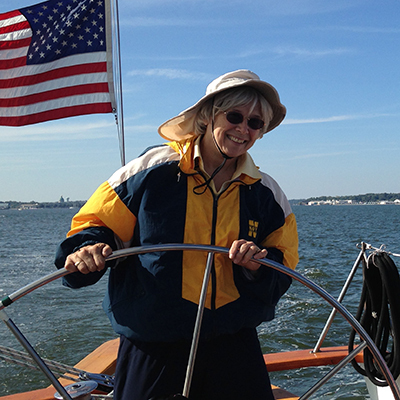 There is so much to see as we sail by the United States Naval Academy and into the Chesapeake Bay. Let the crew grab your favorite beverage as you relax watching the sun set over the city skyline.